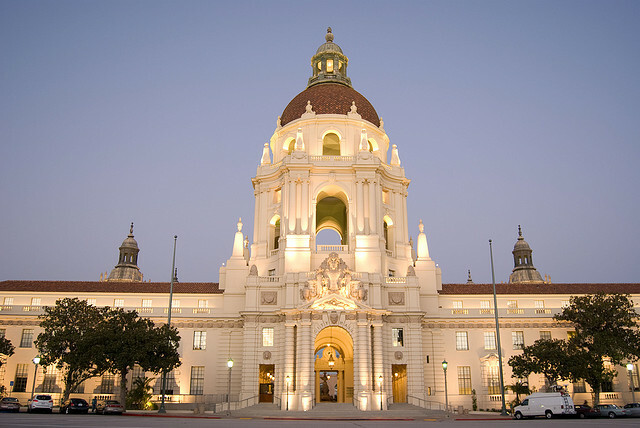 City Hall, Pasadena, CA, site of City Council meetings. On Sunday, Feb. 9th, the Pasadena Star-News covered the City Council’s February 3 meeting. In this meeting, the council approved Pasadena’s draft Housing Element, which will guide Pasadena’s affordable housing policy for the next eight years. Lauren Gold, the reporter, wrote about Natalie Brown, age 11 (who spoke at the City Council), and also mentioned my book, Making Housing Happen. Now it’s my prayer that folks in Pasadena will be encouraged to read it and be inspired by stories of faithful people across the US that have dreamed big dreams to address the housing crisis — and have actually made those dreams happen. Housing activist Jill Shook, who has authored a book on faith-based affordable housing, said she had hoped the city would have taken action on the commission to take a more active approach to the problem voiced by speakers Monday. You can read the full article on the Pasadena Star-News website. Let me know what you think of it.